Scientific Name(s): Magnolia macrophylla Michx. Bigleaf magnolia is the largest-leaved and largest-flowered magnolia species in the world. It also has the largest simple leaves of any tree in North America. Native to the southeastern USA, its habitat is “alluvial woods and sheltered valleys, piedmont“. It is listed as a species of global least concern by the IUCN Red List, although its conservation status may be different locally. For example, the Flora of North America entry (first link in this paragraph) states it is apparently extirpated in Arkansas (no longer present, i.e., extinct in that area). The species has been in cultivation since 1800. It is recommended as a specimen tree in park or large landscapes, with a near-requirement that it be grown in a sheltered spot to prevent the wind from tattering its leaves (but here’s a suggestion to the contrary). The plant featured in today’s photographs is sheltered by other trees in UBC’s Carolinian Forest Garden (see this forum thread). I will add a reminder that I am away for the next 2 weeks, but I have set up some entries to publish while I am gone. It may take a little while longer than usual for moderated comments to be approved. Enjoy your time away. However your email pointing here is http, not https, so I wonder if WordPress is back level as well. I feel these days, security practices should not be ignored. I attempted and failed in installing security certificates about 2 months ago.We know it’s an issue. This tree reminds me of camping trips to the Daniel Boone National Forest, located not far from where I grew up in Cincinnati. The tree was common in one camping spot I returned to several times, giving it a very tropical appearance. It is much more of the State Tree of Kentucky than Liriodendron will ever be (especially since that is the Indiana State Tree to me). It’s a tougher one to establish here in Saint Louis; they appreciate a fair bit of shade. That being said, it’s a beauty when you find it a nice spot. Good pick for the day! :). I have a photo of my daughter standing next to a flower of magnolia macrophylla at a local park in Seattle. It is larger than her head! At the time I knew it was a Magnolia but I knew it wasn’t grandiflora so it inspired me to research. I try to go back to the park every year when it is in bloom. I don’t understand the use of “extirpated” in Arkansas. 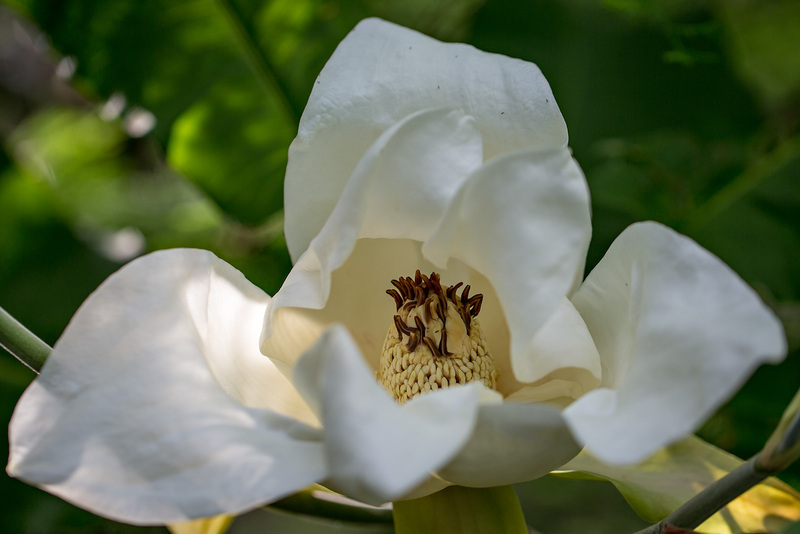 BTW…there are large and wonderful examples of magnolia macrophylla into southern Illinois too. Sorry! I’ll clarify in the text–but it means once present but now extinct in that area/region/district/etc. There’s a glorious magnolia macrophylla in the public garden at Wave Hill in the Bronx (NYC). The first time I “met” it, I could hardly believe my eyes. They are memorable, aren’t they? Is the magnolia collection at UBC as rich as the one in San Francisco? Surely richer than anything we could have here in CT at 6b/a. Magnolias of UBC Botanical Garden. 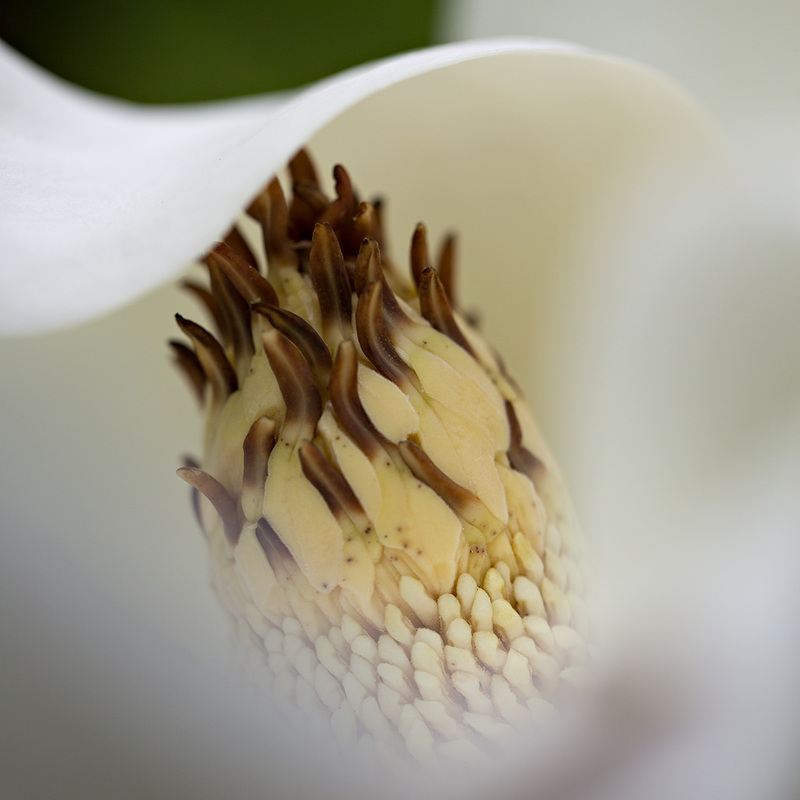 You can also click on the Magnoliaceae tag at the top of the post–they are a favourite photographic subject of mine. Hello from Japan! I have a Magnolia obovata growing in my garden that I planted nearly 40 years ago when it was a little baby. I didn’t realize it has a counterpart in North America. The huge leaves are used here in Japan after they have withered and dropped off the tree, as a makeshift dish for grilling leeks and mushrooms together in a miso sauce. The leaves impart a distinct fragrance to the food. The wood is quite hard and used for the underneath part of Japanese geta (clogs? ), and for chopping boards and also the handles of chopping knives. As it does not exude much resin or sap, apparently it was also used for making scabbards for Japanese swords. I love every component of the Magnolia obovata in my garden – the leaves, the flowers, and the seeds. I enjoy raking up those huge leaves in autumn when they make a unique sound as they fall down and hit the ground. Thank you Victoria. I enjoyed reading that, especially about the sound of the leaves being raked. All the many ways to enjoy trees! I love the close-up, Daniel – Magnolias are fabulous subjects – from bud to flower to fruit, and more. And, small world, I used to work at Wave Hill, which Toinette mentions above.